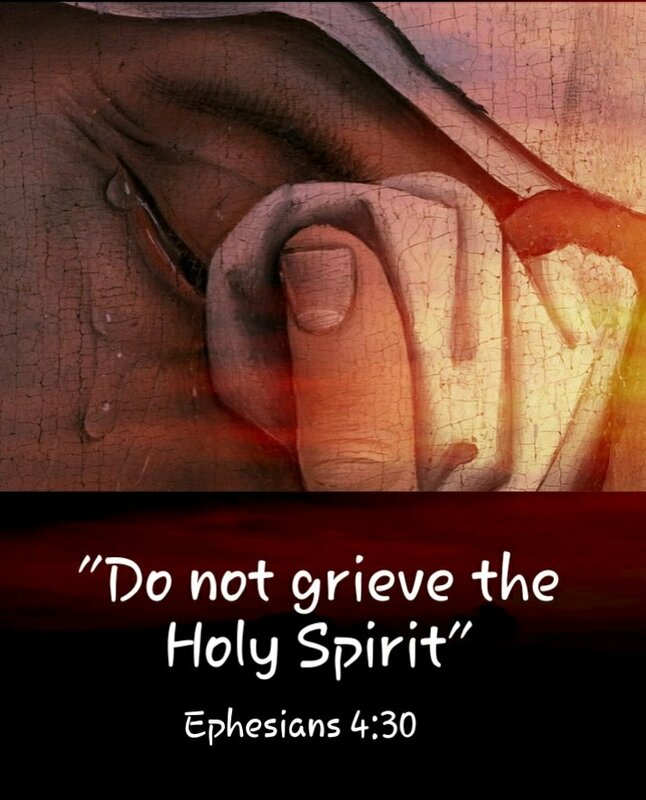 “Do Not Grieve The Holy Spirit” – I Am Not Ashamed Of The Gospel Of Christ! In Him you also trusted, after you heard the word of truth, the gospel of your salvation; in whom also, having believed, you were sealed with the Holy Spirit of promise, 14 who is the guarantee of our inheritance until the redemption of the purchased possession, to the praise of His glory. The spirit of God has been in the earth from the very beginning, even before man or beast were created. (Genesis 1:2). Moses knew that the Lord was the God of the spirits of all flesh, and was told to take joshua who had the spirit and set him before El-e-a-zar the priest and give him instruction so that all the congregation of the children of Israel may be obedient(Numbers 27:15-20). Jesus called the Pharisees and scribes out many times on their teachings, how they were blind guides who strain at a gnat and swallow a camel! This is why we must be sensitive to the Holy Spirit so He can guide us into ALL truth(Matthew 23:23-31). knowing this first, that no prophecy of Scripture is of any private interpretation, 21 for prophecy never came by the will of man, but holy men of God spoke as they were moved by the Holy Spirit. Why when we have the Holy words spoken by Holy Men do we grovel over one or 2 words and seek mans interpretations when we have the answers in front of us? 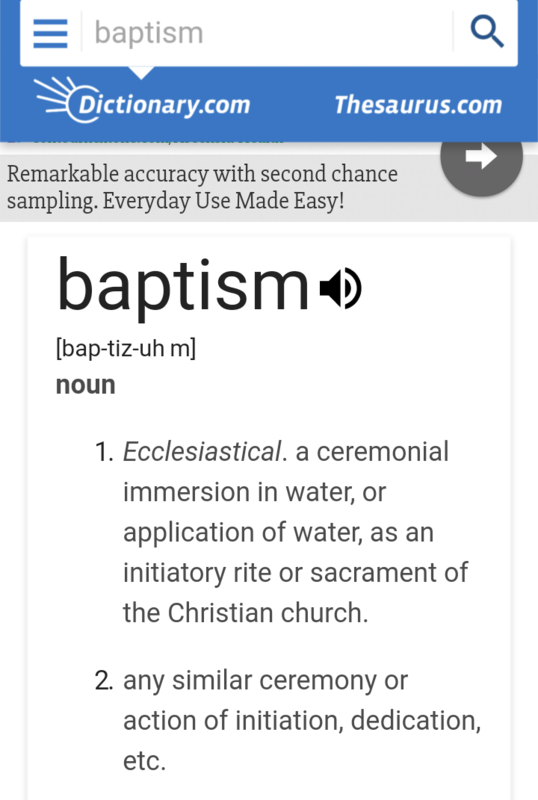 Yes just look at the word Baptism and how it has evolved through the ages. Salvation is such a precious gift, stop making it out to be something only those with special knowledge can obtain. Mathew 3 tells of Jesus’ baptism. It tells so much about the Pharisees, John the Baptist and Jesus’ gospel. What is this fire? A fire placed in our hearts when we are born again that is never quenched. A fire for righteousness, a fire for wickedness to be eradicated. A fire for all to repent and turn to God. A fire that brings the understanding, knowledge and truth. The Holy Spirit has also been described as fire as it descended on the Disciples in Jerusalem. 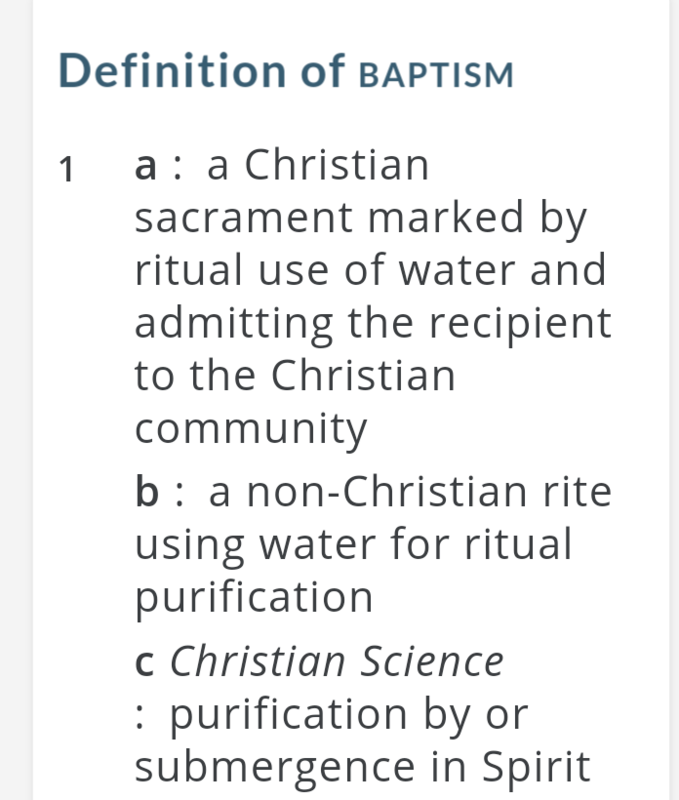 Well, I looked up the word “baptism” and was very surprised to find definitions even from popular dictionaries that described it as a ritual to accept one into Christianity. Very little about purification. 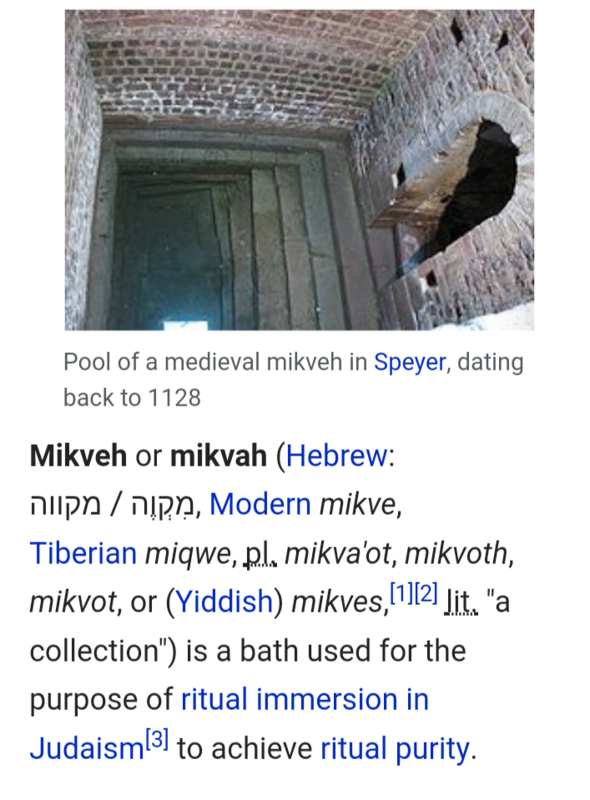 Then I looked up Mikvah, the Hebrew word for baptism. Forgetting our Hebrew roots diminshes a sacred act for repentance given to us by our Lord. 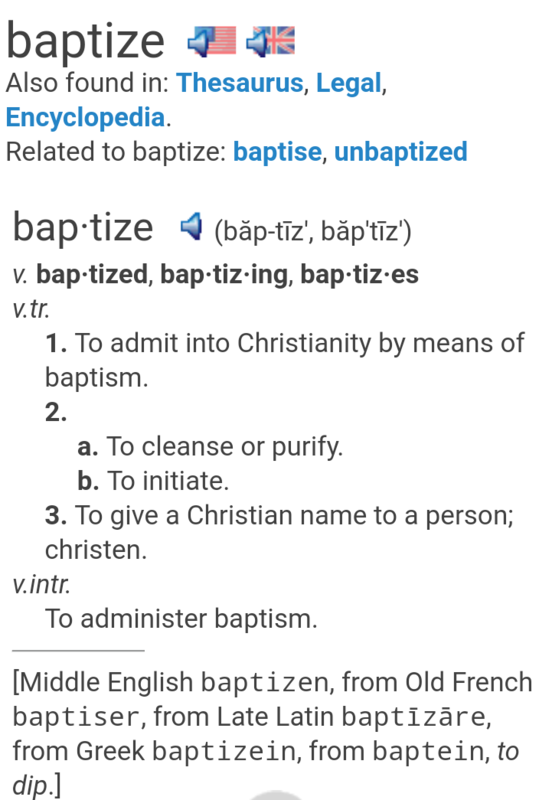 If you use the english definition John the Baptist, baptised Christ into Christianity. The phrase ruach hakodesh (also transliterated ruaḥ ha-qodesh) is used in the Tanakh and other writings to refer either to the spirit of inspiration as above, or to the general, indwelling revelation of the Divine Presence among the Jews, also known as the Shekhinah. Now I dont have to search for the meaning of Spirit, its use throughout the Bible is evident. And Jesus said “salvation comes from the Jews” but a time is coming this spirit will reside in everyone. Jesus transformed water to wine. He said wine represents His blood that was shed for us, His blood that covers us. There is salvation through none other. And salvation can not come without repentance and acceptance of Christs sacrifice, His living water. As many scholars and Messianic Jews like Michael Rood point out, to be born again into a new body, mind and spirit, allowing the Holy Spirit to guide us into truth means submission to the will of God, submission to Gods word, actually transforms and renews our mind, our spirit! We cant do this on our own. It would be like the Pharisees thinking they are righteous by enforcing laws they couldnt keep themselves. But by living in the Spirit of God we are guided into truth and zeal for living righteously. We can not do this without the Holy Spirit. So as we study Gods word and the Gospel of Christ we find the true meaning of Baptism as it relates to repentance and Salvation, guiding us into as Jesus said to be Born Again. Paul goes on to tell us to put away the old man, the old ways not to walk as the gentiles who are blind. He gives specific instructions on doing this. He also cautions against grieving the Holy Spirit. To put away all bitterness and anger. Credit to Bible Gateway and on-line dictionaries, and wikipedia. Photo credit wikimedia commons public domain. Jesus said to examine yourself to see if you are in the faith for many people will be in shock thinking they did miracles, cast out demons and other “good” things but were not KNOWN by Christ. The gate is small and the road narrow that leads to life and FEW find it. Jesus said that. People need to examine themselves and seek out Christ. It has been sadly said that if you were on trial for being a Christian, would there be enough proof to show you are?